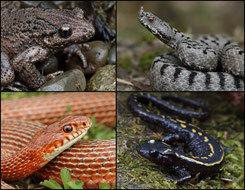 Welcome on my website about the amphibians and reptiles of Europe. 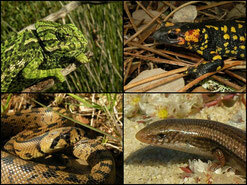 Another winter where Laura and I spent some time to look for amphibians in Portugal. 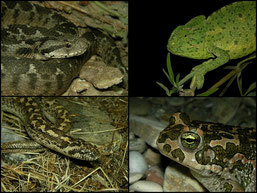 It was rather cold and dry but despite suboptimal conditions we still found some nice amphibians. Tripreport is online under "Tripreports EU" or simply click here. 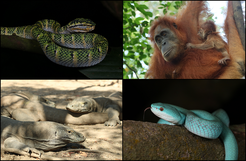 My first time in the tropics of SE Asia and I have seen a myriad of wildlife including some emblematic amphibians and reptiles. Click here for the tripreport or look under "Tripreports outside EU". Summer in Georgia is hot, hot, hot, but for the high altitude species and Caucasian Parsley Frogs this was the right time to go. Click here for the tripreport to Georgia or look under "Tripreports outside EU". What a trip! Besides some of the most iconic snakes on the planet we found an amazing variety of chameleons along with some other amazing wildlife and breathtaking scenery. Tripreport from the trip to Uganda can be found under "Tripreports outside EU" or simply click here. A revisit to Israel delivered exactly what we had hoped for. 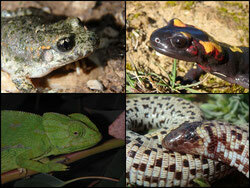 Lots of amphibians and some early reptiles as well. Click here for the tripreport or search under "Tripreports outside EU". A new year and a new tripreport! 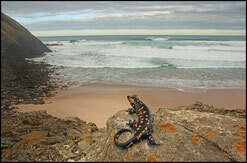 Laura and I spent a week in the southwestern part of the Iberian Peninsula. While conditions were rather dry and warm we still managed to find some very special salamanders. Click here for the report or search under "Tripreports EU". 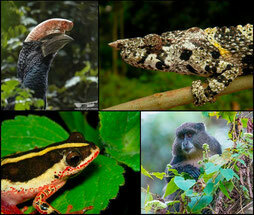 Guatemala's jungles were stunning, both in term of landscapes and biodiversity. 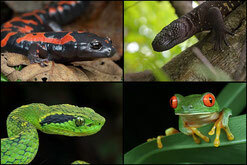 Traveling through cloud forests and dense jungle, past volcanoes and maya temples we could observe over a 100 species including many iconic species. Tripreport can be found under "Tripreports outside EU" or simply click here. With only two Greek species left on my tick list, things were getting pretty tense. But spending a week in the Pindos Mountains and managing to visit the uninhabited island of Pori made sure I could complete the list. Click here for the tripreport or search under "Tripreports EU". Back from a few days on Mallorca with my crazy bunch of students and dear friend Wouter. We had a blast and showing the students Mediterranean flora and fauna was a very special experience. Click here for the tripreport or search under "Tripreports EU". 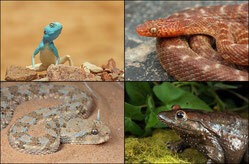 Two weeks of herping in the Holy Land where we were blessed with many amazing wildlife encounters. The tripreport is online under "Tripreports outside EU" or simply click here. 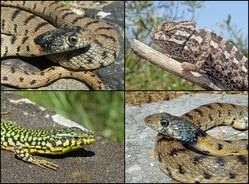 Back from Malta after finally finding the secretive Algerian Whip Snake! Small tripreport is online under "Tripreports EU" or simply click here. This spring I haven't been sitting still and whatever free time I had, I spent in the field. Small excursions in both Germany as well as the Netherlands yielded several interesting observations. 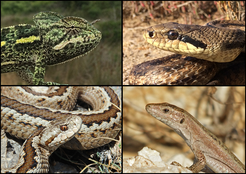 Click here to see the pictures or search under "Herping around the corner 2017". 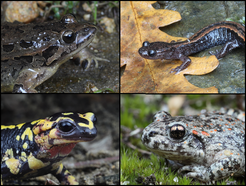 A short winter getaway to Northern Morocco allowed me to observe all my amphibian target species in the wild along with some interesting reptiles. Click here for the tripreport or search under "Tripreport outside EU". 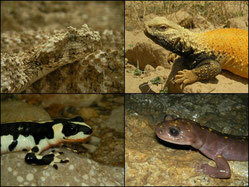 From tiny snakes and pygmy frogs, to giant tortoises and giant geckoes. The ancient granite islands of the Seychelles harbour a wealth of endemic species and unique creatures. 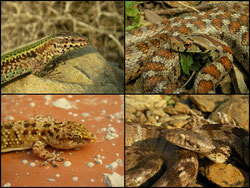 Herping in the lush jungles, dense mangroves and dreamlike shores is pure bliss! Click here for the tripreport or search under "Tripreports outside EU". Click here for the tripreport or search under "Tripreports outside EU". Three years after visiting the Peruvian Amazone I was finally able to catch a free roaming Anaconda. In Germany! A weird story? Yes it is... Click here for the story with the pictures or check "Herping around the corner". 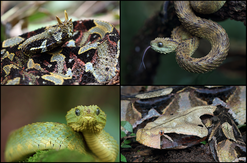 A new viper species and a new trip to see this species in the wild. Click here for a small tripreport or search under "Tripreports EU". 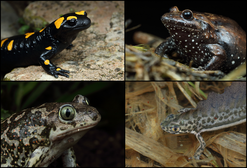 From the ancient Hyrcanian Forests in the north to the vast deserts in the south, Iran is home to a huge number of amphibians and reptiles. 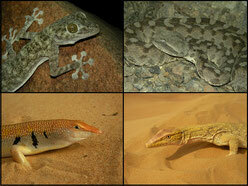 During a two week trip we could find almost a quarter of its entire herpetofauna, including many enigmatic species. Click here for the tripreport or search under "Tripreports outside EU". A small wintertrip to the south of Portugal and Spain was highly rewarding despite the sometimes horrible weather conditions. 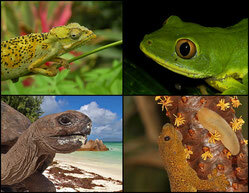 A total of 31 species could be found thanks to a great team. Click here for the tripreport or search under "Tripreports EU". Back to Greece! A new island and a new species for me. A sneaky small trip to the island of Skyros was very rewarding and very relaxing. Africa is amazing! From strolling through ancient jungles searching for chameleons to standing face to face with the world biggest land mammal. A trip to the southcentral African countries of Malawi and Zambia was highly rewarding. 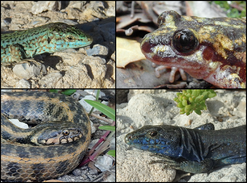 Sun, sea, snakes and all the other good things in life... A revisit to the Greek island of Samos has been nothing but a delight with several herpetological highlights despite the high temperatures. 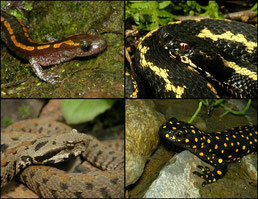 Searching for salamanders and vipers in a wide variety of habitats in northern and eastern Turkey. Click here for the tripreport or search under "Tripreports outside EU". A dream come true! 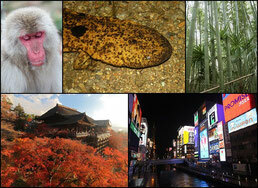 The search of the worlds largest living amphibian brought me to the far east. My tripreport can be found under "Tripreports outside EU" or click on the text. An autumn trip to Romania and Bulgaria had some typical season-related failures but some major high-lights as well. Peruse my report under "Tripreports EU" or click on the text. From pines to palms, from redwoods to red rocks and from salamanders to sidewinders... Laura and I had an amazing three weeks of traveling through the USA! A tripreport can be found under: "Tripreports outside EU" or click on the text. Enjoy!